Children’s Health Fund and The Primary School have created a series of videos to help you and your family understand asthma. 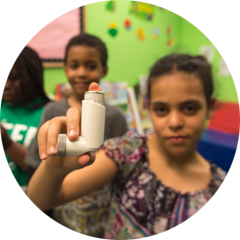 The first video is 7 minutes long and describes what you need to know to take care of a child with asthma. The other 3 videos are short pieces of the long video. You can share these videos with your friends and family!